I frequently have new clients tell me they just got their blood test results back from their doctor and their vitamin D levels are low, even though they have been taking a vitamin D supplement for months, or even years. There is a good explanation for this! In order for your body to absorb vitamin D, you must be able to digest fats, have proper kidney and liver function, and have adequate calcium and vitamin K.
Vitamin D is a fat soluble vitamin. Therefore, you must have optimal digestion in order to absorb vitamin D. That means your body must produce enough enzymes and hydrochloric acid in order to digest carbohydrates, proteins, and fats. Enzymes and HCL are only the start of the digestive process. The digestive system works in a synchronized fashion; each metabolic action is a precursor for the next. Everyone needs to be on their game. Optimal liver function is also essential to digestion. The liver makes bile. Bile breaks down fats. The liver sends bile to the gallbladder for storage. The gallbladder concentrates the bile and secretes it into the small intestines when needed. Bile breaks down large fat molecules into smaller ones, allowing the small intestines to absorb the nutrient. Vitamin D is dissolved in fat molecules. Not only does the liver produce bile that aids vitamin D absorption, but the liver also converts the inactive form of vitamin D to the active form, 25-Hydroxyvitamin D. The kidneys then convert 25-Hydroxyvitamin D to the most potent form of vitamin D, 1.25 dihydroxyvitamin D. This form of vitamin D encourages calcium absorption in the intestines as well. Vitamin D is essential for bone health, optimal mood, and immune function. Vitamin D enables the building of calcium in the bone. A process called bone remodeling allows the body to have access to calcium when needed. During this process, osteoclasts break down the old bone, allowing it to re-absorb into the tissues of the body, while osteoblasts allow the bone to rebuild, taking calcium from the tissues. Without proper vitamin D, bone remodeling is not optimal, causing weak bones. In addition to vitamin D, vitamin K2 actives osteocalcin, which is produced by the osteoblast (bone building) activity. Osteocalcin is needed to bind calcium into the matrix of the bone. This is another reason why I have my clients bring in their vitamin D supplement that they are taking, to make sure it has all the co-factors needed to absorb the vitamin D in the supplement. Not all supplements are created equal. 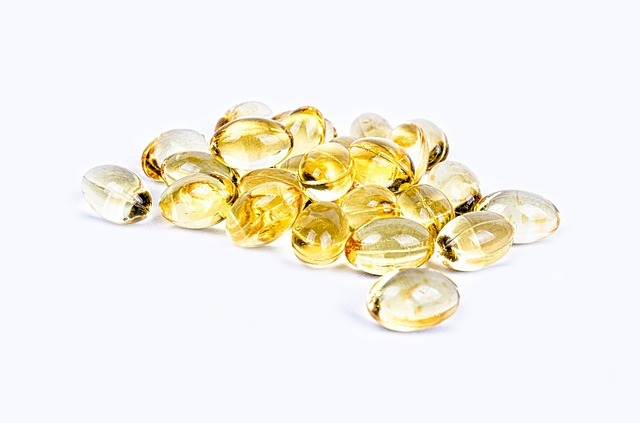 In addition to lacking ideal digestion, kidney or liver function, clients can actually be taking a vitamin D supplement that their body cannot absorb. This can cause problems. If the body can’t absorb the supplement, it will cause undue stress on the body in its efforts to eliminate it. If it cannot be eliminated, it will store the excess in an organ. That’s why it is very important to have a supplement tested on each individual to see if it is appropriate. It is not always necessary to take a vitamin D supplement to absorb what is necessary. You can acquire vitamin D through exposure to the sun. The ultraviolet rays in the sun activate a cholesterol-like substance in the skin, which, through a few metabolic processes, converts to vitamin D3. We know the liver and kidneys secrete an enzyme that converts vitamin D3 to an active version that our body can assimilate. Ideal exposure to the sun would be 15 to 20 minutes per day, 3 to 4 times per week, mostly on the face. Every person has bio-individual needs. A good rule of thumb is to stay out in the sun half the time it would take for the skin to burn. No sunscreen or sunblock should be worn, as this will prevent the vitamin D absorption. For individuals who are prone to burning, stay in the sun 5 minutes, then 10 minutes, then 15 minutes, continuing to work their way up until they can manage the sun without getting burnt. Between 10 a.m. and 2 p.m. is the best time to be exposed to the sun. Ultraviolet rays are the greatest between these times. Summer is the most ideal time to get maximum exposure to ultraviolet rays, although getting sun on your face during spring, fall, and winter can definitely help. The sun will not only help vitamin D absorption, but also will improve mood. Increased sunlight exposure activates a brain hormone called serotonin. Serotonin produces feelings of well-being. Vitamin D strengthens the immune system by providing nourishment to tissues and cells in the body, allowing optimal cellular function. Cells are like little cities. The DNA of a cell is the mayor of the city. It gives the cell instructions on how it is to function. Other functions of the cell include the garbage man, the lysosome. They remove waste from the cell. The cellular membrane is the wall of the city with guards. They let good guys (nutrients) in and prevent bad guys (toxins and pathogens) from coming in. Without a properly running city or cell, there is chaos and dysfunction, which ultimately leads to disease. Increasing vitamin D to proper levels involves more than just taking a random vitamin D supplement. Digestion must be corrected. Stressors must be removed from the liver and kidneys so they can detoxify. Proper nutrition must be taken to allow the liver and the kidneys to function optimally. Lastly, every effort needs to be made to get some type of sun exposure, as well as eating a whole food diet rich in vital nutrients.